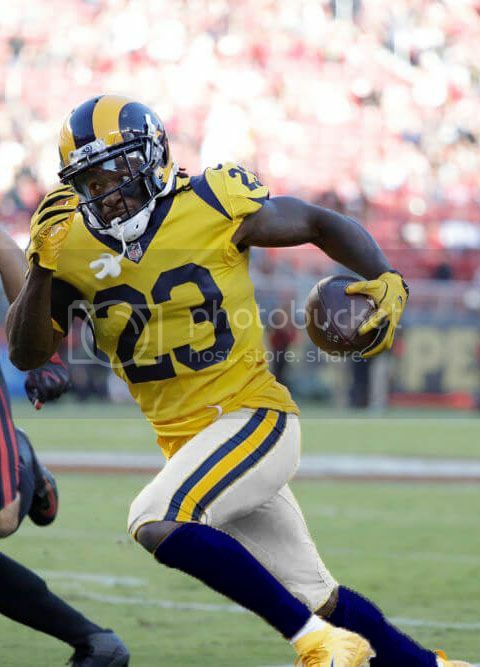 I would love to see them wear the white pants, and navy socks with the yellow jersey. Even after Magic retired and the Lakers fell into their lean years in the 90s, mainstream sitcoms still made Clippers jokes. The stripe could use a thin yellow outline. I understand. 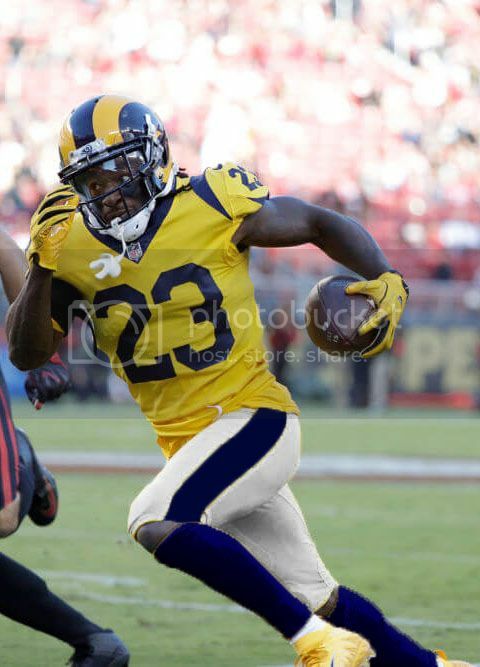 I just mocked it up with their current white pants. Here is another one I made. I don't think people are applying that retroactively. Rather they're arguing that presently? The Rams are in the "Lakers" position in terms of support levels, whereas the Chargers are clearly fighting for scraps. Yet they are still the most popular nfl team in LA. That's pretty impressive. I have no doubt that the Raiders have a strong fanbase in LA, but I'm hesitant to say they're more popular than the Rams presently. I recall a poll indicating that, back in 2016, the Rams were the clear preference among Los Angeles fan. The Raiders were a respectable second, and the Chargers were a distant third. 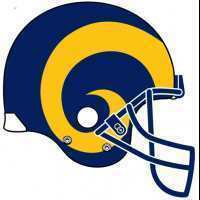 The Rams were LA for around 50 years, and spent only a portion of that in Anaheim. As for the Raiders, they just have a more visible and vocal presence in the fans, and people were likely to continue rooting for a team still located in California. 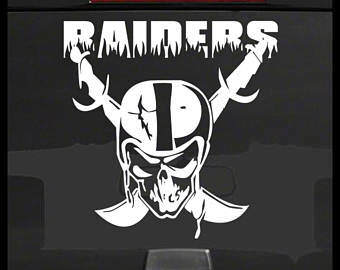 But there is a silent majority that doesn't like the Raiders and in particular the image their fans project. I've noticed this particularly among women. Regardless of their perception is non-raider fans, they have been the #1 draw for viewers in LA and the cowboys have been #2 for a couple decades. Nfl is a tv driven sport so having a local team to grow your fan base is irrelevant in 2018. Kids who grew up without a local team chose others and transplants brought their allegiance with them from the big cities back east. It will take at least a decade for the rams to get real traction. Yeah, I find it terribly silly and therefore charming, but the cosplay does turn a lot of people off. Plus, the Chargers using LAC just like the Clippers (which obviously they would). It's just perfect. Just like it took me most of the Chargers' first season to stop saying San Diego (same for saying St. Louis is reference to the Rams), it took me a while to adjust to seeing LAC and not instantly thinking Clippers. The Los Angeles Raiders had mediocre attendance magnified by an L.A. Coliseum that was too big for its own good, but no one who liked them has ever shut up about them, and their merchandise looked cool. Of course they would be more romanticized in their absence than the Rams were, because no NFL team has ever romanticized itself as relentlessly as the Raiders. (The Bears are second and it's a wide tie for third.) "Silent majority" is right on the money. So, the whole "LA is a Raiders town" bit is a little misleading. The fans aren't exactly the type who would be forking over a whole lot of money for season tickets and the like. 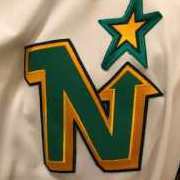 They're mainly a bunch of people who think that the colors make them look badass even though the team's owner is the absolute anthesis of this. Plus, let's face it, a perennial 4-12 team who gave its generational superstar away for peanuts isn't exactly what one would call intimidating. I'd argue that no metropolitan area ever can nor should be a "Raiders town." They're supposed to be too countercultural to just be the local team. 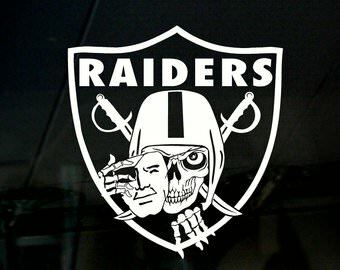 Liking the Raiders has to be a conscious alternative choice you make and subsequently regret. That's one part among many of what makes this Las Vegas situation so gruesome, the idea that they'll just be the default institution for dopes who live in a half-foreclosed housing tract with lawns made of gravel. I love all the revisionist history that the rams were beloved in LA and are the Lakers to someone else’s Clippers. It isn't revisionist to say so at all. The Rams were indeed beloved in LA, which is precisely why so many people were so upset at them for moving to Anaheim and why they lost such a huge chunk of their traditional fan base by doing so. The Rams were the Lakers before the Lakers were the Lakers. To say otherwise is revisionist history, or at least suggests you aren't familiar with Los Angeles before 1980. It sure seemed that way in the parking lot before the exhibition game this year. First game at the Coliseum since the NFL returned, last game there ever, apathetic home crowd waiting for the regular season, prime Saturday kickoff, etc. Then the game started and it turns out most of those Raider fans must've stayed in the parking lot. The damn stadium was half empty, and half the people there were the Rams fans that weren't supposed to show up. As somebody who visited LA once, I can definitely confirm that the Chargers are actually the third most important football team there. Similar to the Clippers being less important to basketball than both the Lakers and UCLA.